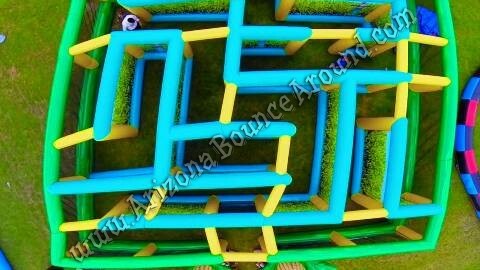 Our Inflatable Corn Maze is 40 feet wide; perfect for kids & adults at Harvest Festivals, Carnivals and Fall Festivals around Colorado. 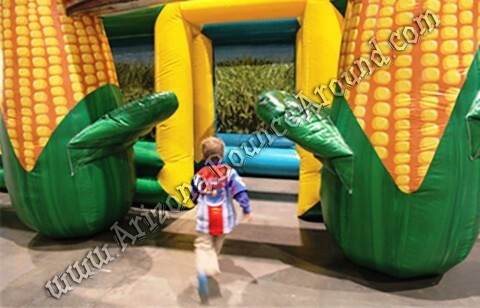 Our Inflatable corn maze will be a big hit at any pumpkin patch, fall festival, school carnival or event looking for a corn maze. 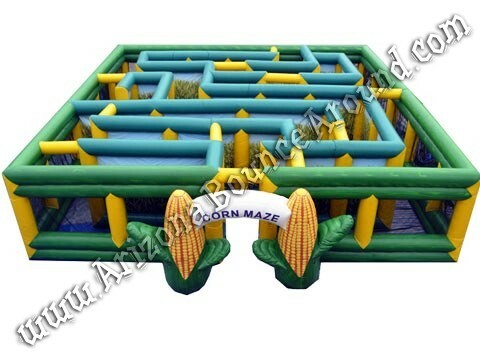 We also offer this corn maze as a laser tag maze so be sure to ask for details. Be sure to check out our Haunted Corn Maze and open top Corn Mazes. Corn Mazes are a big part of fall festivals and Pumpkin Patches but can be a hassle to build out of hay. 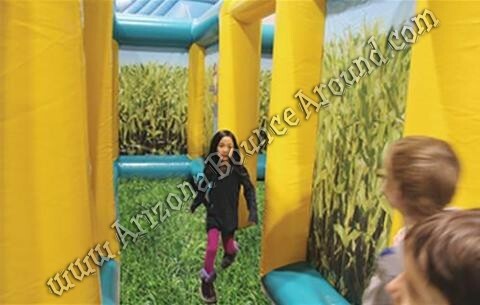 The cost, the weight, the mess can be overwhelming so why not rent a Inflatable Corn Maze from Gravity Play Events located in Deenver Colorado. We offer a wide selection of accessories for our Inflatable Corn Maze like strobe lights, light towers, black lights, laser tag guns and more. Rent one today before they are all taken for your event date. 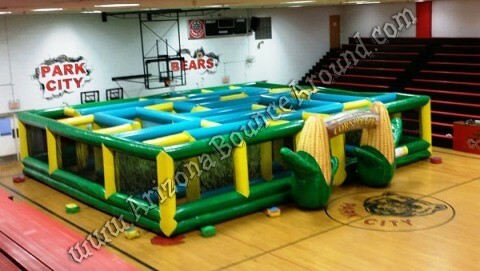 We have several of these corn mazes available for rent.